Page speed, in essence, is the time it takes to completely load and display all website content and elements on a specific page. Page speed can also be referred to as “page load time”. Page speed, however, should not be confused with “site speed”. Site speed, of course, would encompass the average speed of several pages on a given website. Page speed is important for a number of reasons, most notably, the major impact it has on SEO, and it’s not just desktop speed that you need to consider. With Google’s Mobile First index it’s essential that you optimize and improve mobile page speed. To put this simply, Google will first crawl the mobile version of your website when deciding where to rank your website in search results. Google will strive to provide the best possible user experience, and will, therefore, look to give websites and pages alike which are fast a bump up in search results. In essence, a well optimized fast page is a signal of quality. A slow page, in contrast, will rank lower, and naturally, provide a poor user experience; after all, do you really want to test the patience of website visitors and prospects alike? 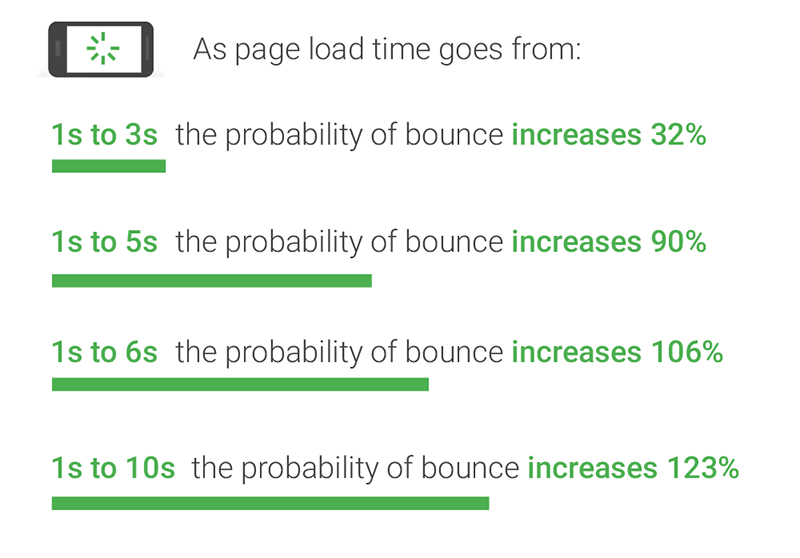 Slower pages will have higher bounce rates as a result. When Pinterest made optimization improvements they saw a 40% decrease in wait time and as a result a 15% increase in their signup conversion rate. The BBC also recently declared that they lose an additional 10% of visitors for every additional second it takes for a given page on their website to load. What is a good page load time? It’s widely accepted that the fastest pages should load under 1 second, 1-2 seconds is considered fast, 2-3 seconds is average, 3-4 seconds slow, and 4 or more seconds the slowest. Discover how fast any given page is on your website using Google’s Page Speed Tool. How do I improve page speed? Images which are larger than they really need to be will slow your page and website down. It’s also recommended that you use the right image formats, for instance, JPEG is considered the best option for photos displaying a large array of colors. While for everything else such as drawings, and screenshots, for example, you should opt for PNG. Google suggests that you serve images in ‘Next-Gen Formats’, that have superior compression and quality characteristics. Images in JPEG 2000, JPEG XR and WebP will load faster and use less cellular data. However, please note that they are not widely supported by browsers yet, still, this is what Google pushes. Fortunately, if you use WordPress, there’s a plugin called WebP Express, that will serve images in this format when it’s supported. If you are using WordPress, then you’ll be pleased to know that there are many plugins that simplify this task. We’re currently using the image compression tool Smush. A CDN or Content Delivery Network is a server system that is designed to deliver content such as your website pages quicker to visitors regardless of where they are in the world. This is typically achieved by copying the content of a given website, which can include images, CSS, videos, and so forth to a series of remote servers. When a page on your website is then accessed by a visitor to your website the content is served from the closest server to the visitor, and the results are, of course, a fast loading website for all. This tip is only applicable if you have a WordPress website. If you don’t run WordPress, then discover just how easy it is to get started with WordPress. If already run a WordPress website, then you’ll be pleased to know that there are an array of plugins available. In fact, here is a list of 7 of the best WordPress caching plugins. In short, the benefit of caching is that it speeds up your website or page by reducing server processing. For instance, you may have a header image, menu, a blog, video content, all of which will need to be processed by the hosting server, caching reduces this load, and as a result, can improve page load times. You may have expected to see this tip in our SEO Trends for 2019 article, however, identifying and fixing broken links is a surefire way to improve page load times. Broken links are proven to be a drain on bandwidth, and of course, all but guarantee that a visitor will leave your website. The good news is that identifying and fixing broken links is a relatively straightforward process. 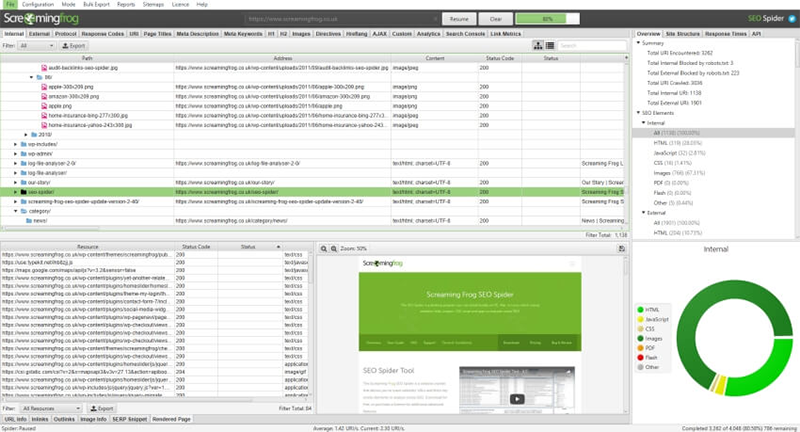 Screaming Frog SEO Spider is a great tool, which you can download and use to identify any broken links. Thereafter it is simply a case of putting in place redirections, which should ideally be 301 (permanent redirect). If you are using WordPress then this task is made even easier by the fact that there are many redirect plugins to choose from. That concludes our rundown of tips to improve page speed. As you can see, by combining several of these tips you too will be able to decrease page load times and speed up. What should also be clear is the importance of having a fast website, there are clear benefits in terms of SEO, and of course, terrifying consequences if your website and pages are too slow, such as lack of visibility in Google, along with high abandonment or bounce rates from prospective customers that simply grow impatient. Are there any tips that we’ve left out? Let us know in the comments! 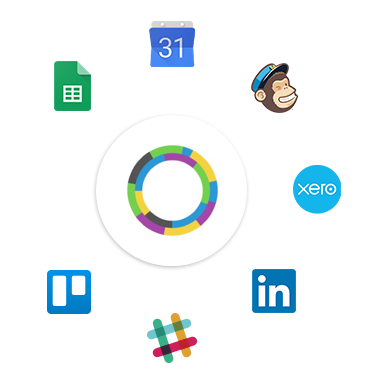 Craig, is the International Marketing Manager at 10to8, with over 10 years’ digital marketing experience. At 10to8 Craig devises and oversees multi-channel marketing campaigns, and plays a pivotal role in growing the business. Throughout Craig’s most recent career history he’s specialised in successfully growing tech start-ups.